Tired of the same old party? 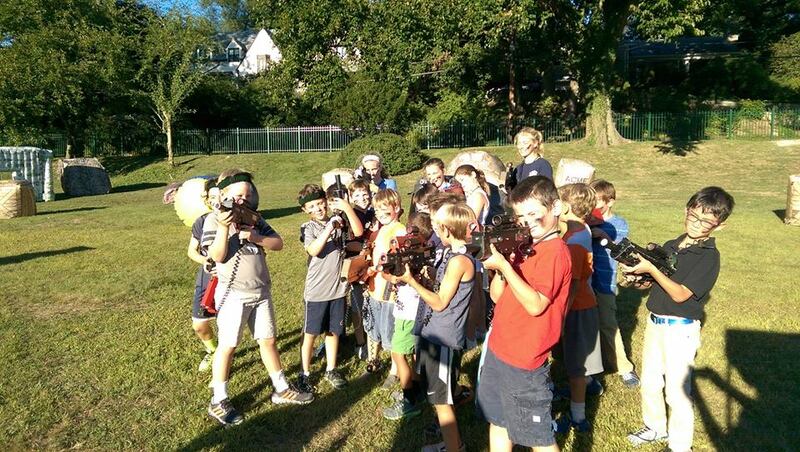 Outdoor Laser Tag offers an action-packed, fun, memorable party experience, using a unique hi-tech system from Battlefield Sports, where you not only play the game, you Live The Game! You and your guests will look forward to this party, love playing it and will talk about it for some time. We are 100% mobile. We will Bring The Fun to You! We offer party packages to meet ALL budgets for a minimum of 10 players from 7 up to 77 years old with no experience required. 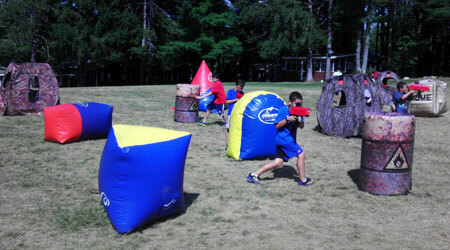 Outdoor Laser Tag, USA provides premium grade, hi-tech mobile laser tag equipment that will “WOW” players. We transform any space into an interactive Mission Field of play using Camo Tents, Inflatable Obstacles and a Music System. Players feel like they are starring in their own Live Video Game! If you have an environment that’s ready for play, great! 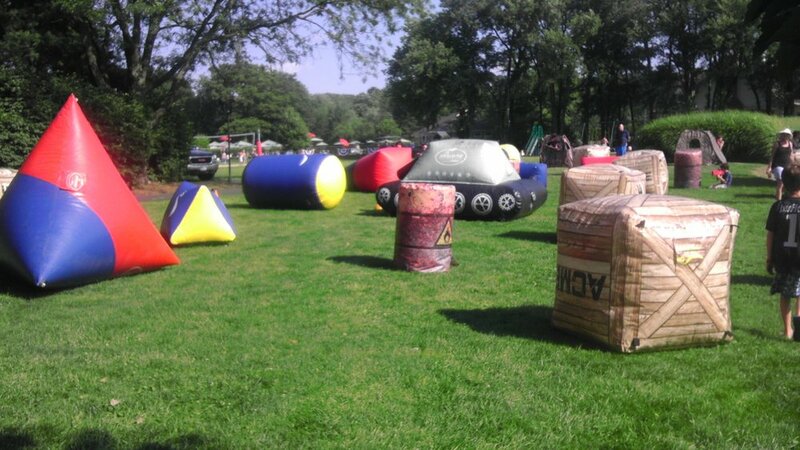 If not – we will bring our inflatable obstacles and Camo Pop-up Forts to construct your customized Mission Field on your property (hard surface or grass). We create a special party that is just as special as this special day – a party that your child, their friends and all your guests (adults too!) will enjoy. 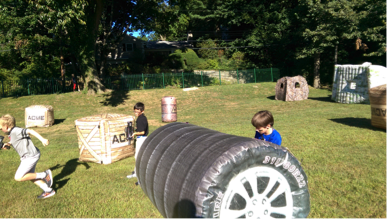 Outdoor Laser Tag is not only fun but it also teaches players about team work and planning, and because anyone can play it with any skill level, all of your guests will jump-in to have fun. No fear of guests not participating, and we make every player leave the game feeling like a winner and part of this special day. With up to 125 lasers available for your event, pricing starts at $1600 for 20 lasers for a 2 hour event.